‘It’s the and that I hate. I get, what are you doing? all the time. My parents. Their friends. My friend’s parents. They’re only listening for the ands not what’s in between,’ shared a teenage girl in the provocative documentary, Race to Nowhere. (note, I’m paraphrasing) The film spotlighted the unintended consequences imbedded in the US educational system. A test-driven, high-achievement, schedule-intensive, anxiety-producing swirl. The tormented teen pointed out that it isn’t enough to be taking honors courses AND volunteering AND playing lacrosse AND serving on the school council. What then? Early in my transition I was fearful of interactions like the one summarized by this young girl. At the time I didn’t think folks were listening for ‘ands’ as much as I thought they were listening for some breadth or depth to my activities. Now a two-year transition veteran I view the vignette differently. Now…I think it’s about listening…..freshly, radically, distinctly. Have you missed an opportunity recently to listen? The movie scene made me recall an insightful book I stumbled upon earlier this year, The Spirit Catches You and You Fall Down: A Hmong Child, Her American Doctors, and the Collision of Two Cultures by Anne Fadiman. In it the author brings to life two cultures clashing, sometimes violently, over the care of a child. Fadiman’s book chronicles the Lee family, refugees from Laos, and their interaction with the western medical system as experienced through the care of their severely epileptic daughter, Lia. The family emigrated to the US after a harrowing multi-year trek thru China and Laos. They settled in Merced, CA, an enclave of Hmong Chinese resettled by the US government. At age 5 Lia suffered a seizure that left her unresponsive. At the time the medical community in Merced informed the family that Lia wouldn’t likely live much longer. Fadiman’s book offered extensive background on the cultural traditions and religious beliefs of the Hmong. Suffice it to say that the Hmong are a deeply spiritual people. One of their more striking rituals occurs upon the birth of a child. In their tradition the parents bury the placenta in or near the child’s home to anchor the child’s soul to this earth. In Merced, CA the Hmong asked the doctors and staff of the local hospital to take placentas home. The staff was highly agitated by this request, envisioning everything from voodoo to derivatives of cannibalism. To them the placenta was medical waste. Translators were incapable of bridging the gap. Would it surprise you that Lia lived in the care of her family until she was 37? Unheard of for a person in her state. Would it also surprise you that the Merced medical community struggled with Lia’s home care for more than a 30 years? The Hmong family and the western medical team were never able to really listen to each other. Lia paid an extreme price for that. Most of us don’t have such formidable barriers blocking our listening ability. This listening theme has pervaded my world in the past several weeks. Am I really able to listen on the topic of transition. Truly? Deeply? With empathy? The entrepreneur in me decided to take this question head on in the form of a Research Jam. What is that you may say? A jam is a brief technology-enabled brainstorming on a specific subject. IBM fashioned the most successful early JAM in 2006 when then CEO Sam Palmisano hosted an online Innovation Jam that attracted 150,000 participants in 72 hours. Novofemina’s Research Jam has more modest goals but is similarly intended to bring new thinking forward. Won’t you lend your voice by taking Novofemina’s Transition Survey? No registration is required. It shouldn’t take more than a few minutes. I’d be honored to add your perspective to my understanding of this complex, pervasive, energizing topic. Truth be told….people have been my anchor through this process. I’m thankful for those who’ve been willing to agree and disagree with me. At the core I know listening has played a leading role in advancing my thoughts…and me. 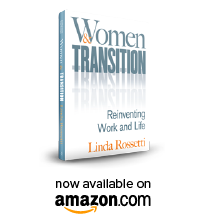 This entry was posted in Observations on Transition and tagged Anne Fadiman, career transition, Hmong Chinese, IBM, Innovation Jam, linda rossetti, novofemina, observations from a women's transition, personal transition, Race To Nowhere, Sam Palmisano, The Spirit Catches You and You Fall Down, women's transition. Bookmark the permalink.